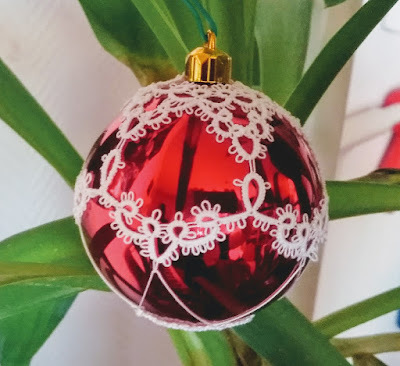 I know it's Spring turning to Summer out there, but I am tatting for Christmas. I plan on covering Christmas balls with tatting. It's quite a challenge for me as I have difficulties adapting patterns (or create my own !) so that they fit the ball. Yesterday morning I was full of creative energy. 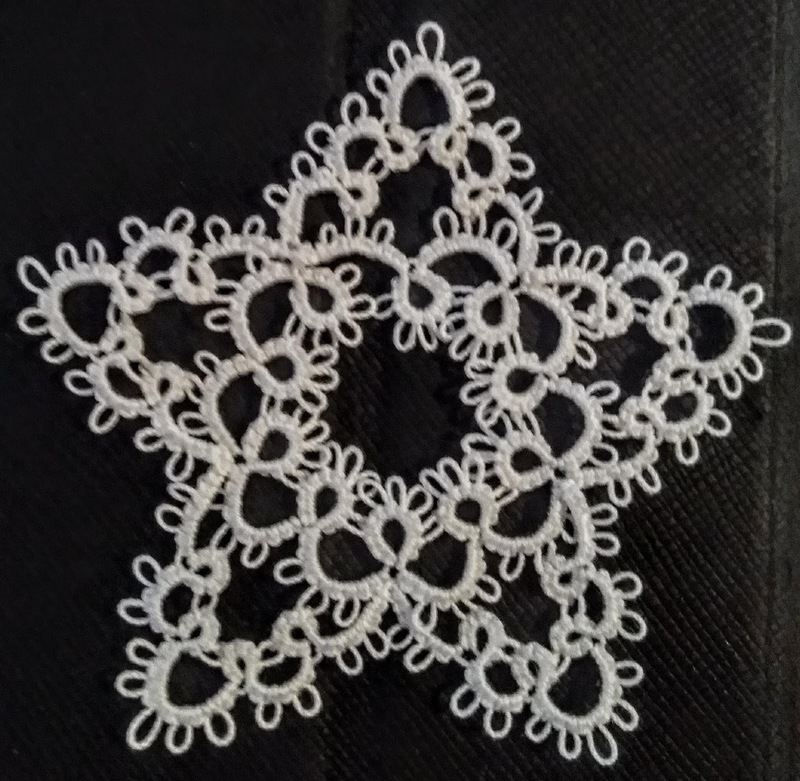 Not only did I finished tatting the edging, but I also sewed it on the tshirt. I was pinning it into place to see if it was long enough, and one thing leading to another.... It was all done. But I ended up with very sore fingers. Now I don't really know what to make. Things for Christmas? Another edging? Both? Recently I made quite a few tatted items. Now that I'm working full time as a web developer, I need some creative outlet during my free time. Something away from the screens. Somethign that doesn't require using my brain too much. 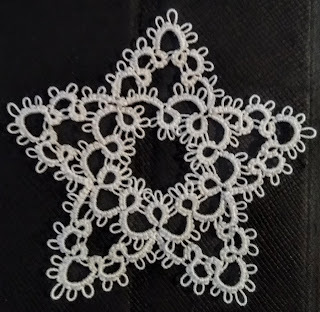 But then, looking at all the new tatters on the Just-Tatting Facebook group, I started to wonder when I started tatting. And that's where this blog becomes very handy. July 2008. It's also fun to see the old posts.... I started blogging in 2005, but I lost about a year of data because I was on my own website that disapeared with time. The pictures are still there, in Google Photos Albums. Now I feel like reading my old posts.... Have you ever had this feeling? We were approaching Easter at the time, and I thought it would be fun to make motifs to stick on the mini paper eggs I still have from ages ago. So I tatted motifs. I will photograph them and post them here when I have the courage to do so. Then I came across a pattern for those mini baskets from the previous post. And I ended up making one for each in my family as Easter present. In the meantime, I felt like I needed more edgings for my plain tshirts. 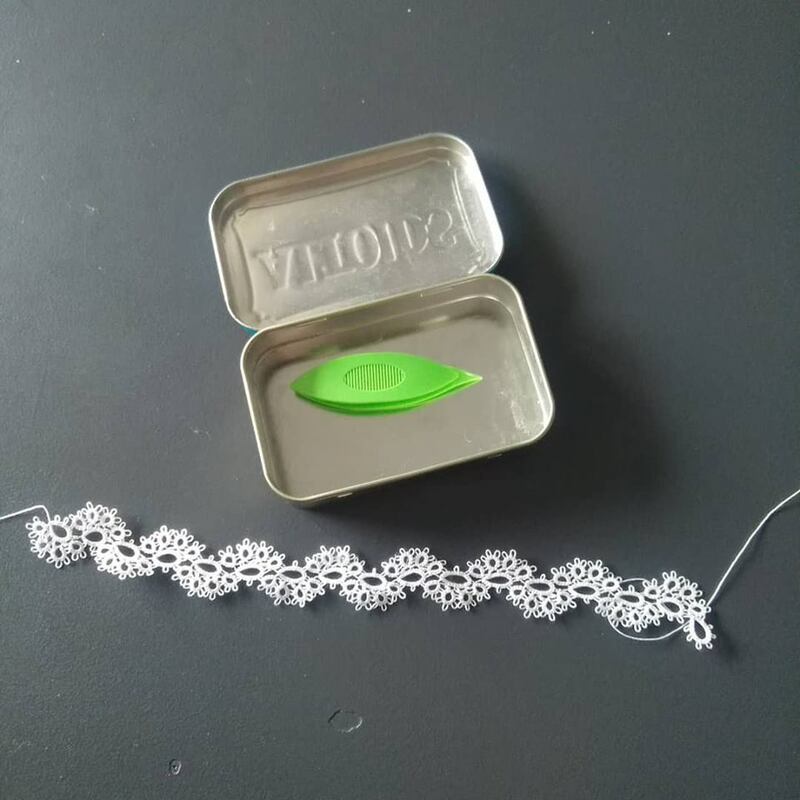 I decided to start simple, with one shuttle, size 50 DMC thread, and Mary Konior's Curds and Whey pattern.